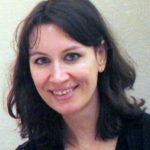 Anne Régent-Susini is maître de conférences in Paris (Université Sorbonne-nouvelle) and junior member of the Institut Universitaire de France. A former student of the École Normale Supérieure and the University of Cambridge, her research is situated at the crossroads of rhetoric, literature and the history of ideas and mentalities. Her work focuses on french preaching and the writing of history in 17th-century France. She is also interested in the relations of the French missionaries (internal and external missions) during the Ancien Regime.